Interview with Adam Wiltzie & Dustin O’Halloran. 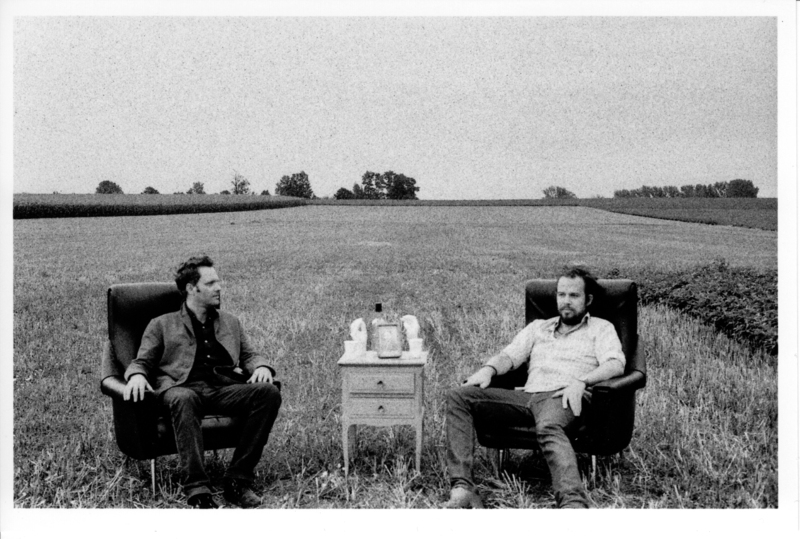 A Winged Victory For The Sullen is the collaborative project of like-minded artists and musical luminaries, Adam Bryanbaum Wiltzie (Stars Of The Lid) and composer Dustin O’Halloran. 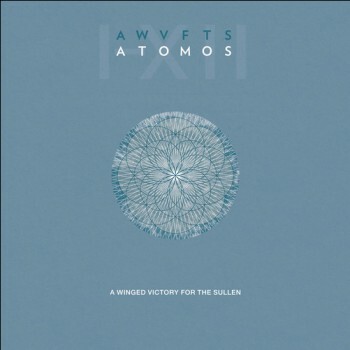 Last year marked the highly anticipated return of A Winged Victory For The Sullen’s stunningly beautiful and deeply affecting neo-classical based compositions in the form of the duo’s sophomore effort, ‘Atomos’. 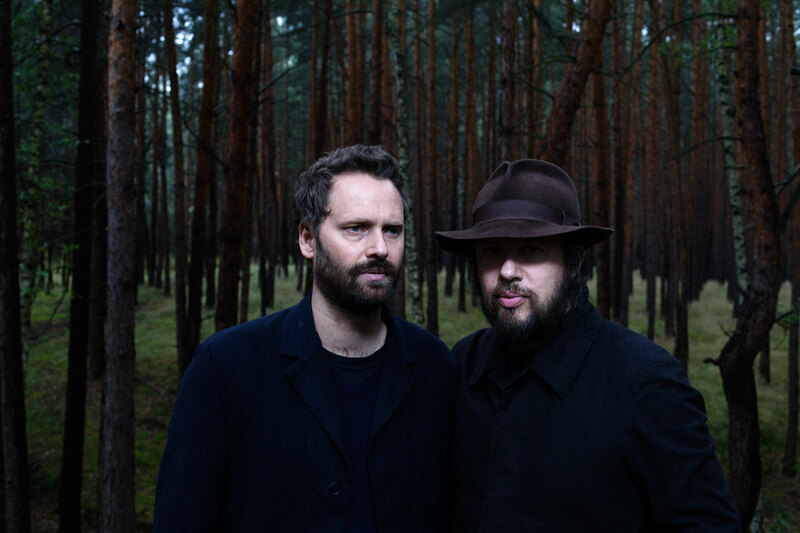 First glimpses of the pair’s new material – and follow-up to the mesmerizing eponymous debut, released in 2011 – was beautifully captured in ‘Atomos VII’ EP; comprising two original compositions recorded in the summer of 2013 in Brussels, Berlin and Reykjavik. This stunning release also featured Icelandic composer Ben Frost’s rework – appropriately dubbed ‘Greenhouse Re-Interpretation’ – of ‘Atomos VI’. What remains vividly present on the pair’s newest masterwork of ‘Atomos’ is the infinite beauty and unlimited emotion that pours from the intricately layered compositions of piano, strings, drone sounds and modular synthesizers. A haven of celestial sounds and heart-wrenching emotion unfolds with each and every beguiling piano tone and ambient pulse of heart-wrenching strings. As ever, the gifted duo explore new possibilities through sound with results nothing short of staggering. For upcoming European/US tour dates click HERE. ‘Atomos’ is out now on Erased Tapes (Europe) and Kranky (USA). It’s lovely to speak to you about your incredible and very special music. Congratulations on the latest album ‘Atomos’, it’s such an amazing album. The one thing that really striked me initially is the broadened sonic palette where there is new textures and nuances in the music itself. I’d love for you to discuss the different ideas and elements you had envisioned for the album from the outset? Adam Wiltzie: Yeah I mean I don’t know if there was a really grand scheme because we had such a limited time. I mean the process leading up to it was a little bit slow but once we got everything agreed contractually, we really had four months to do the whole score which is not a lot of time to do anything. So we weren’t consciously thinking this to be totally different from our first record because Wayne [McGregor] approached us because he loved the first record, that’s what brought him to us. But we had a limited amount of time so we were just coming up with ideas and writing so we went into some new keyboard sounds and I think if anything it wasn’t so conscious, it just happened very naturally and in a really quick way. We didn’t have time to second guess ourselves either: we would throw a palette of sound up and start writing and go with it. And you know, it was really as simple as that. Dustin O’Halloran: Also, I think because Adam and I have our own projects -we’ve only had one record – we were really happy with that first record and you know, we don’t want to repeat ourselves; it was good timing that we had this sort of third influence in the group because I think it helped us understand what are the limits of our sound and where can we grow. The first record in some ways came really easily to us because it was very natural to what we both do so I think that it was nice to see where we can expand in our own palettes. As you just mentioned there, it must be a lovely feeling to be thinking back on the making of the music in the sense that it took relatively so quickly. It must be this inspiration that you get so easily and quickly when you are both together. AW: It’s definitely satisfying: satisfying in different ways for each record. I think the satisfaction was different with ‘Atomos‘ – and maybe for Dustin it’s the same – we were working on it and didn’t have much time so it wasn’t until we actually performed live that we realized, oh this actually is a really nice record. We were just trying to finish this score that would work for this dance piece where we were thinking more about Wayne and what he needed, obviously we didn’t want it to sound bad. It wasn’t until we were there, really playing it live where we realized, oh this sounds like a record and now it’s even more satisfying for me that the record really sits on its own completely separate from it: it can sit completely separate from the dance because I think most people that listen to it have never seen the dance and maybe never will see the dance. So it’s satisfying because it’s a beautiful thing that exists on its own. Exactly and I think that’s a true testament to the music, you know with the different contexts. I would love to see the dance but I haven’t but with the music itself there is such a visual element of movement as you’re listening it feels like you are witnessing it even though on a physical level you’re not. DO’H: I think the one nice thing about working with dance is that music really comes first so you have a lot of space and time to work with where other collaborations are not as free in the sense of the time-lines. But I think that a big element in our music is stretching time and using the element of space. In film it’s much harder because you’re dealing with stories and edits. It was nice because we were really able to draw out passages and Wayne really gave us a lot of freedom in that sense; he didn’t really try to constrict that way we work. I love too how the album itself really feels like a number of movements but there is so much variation- there is so many different elements happening and different layers – so you can always hear something new from the music. AW: Oh, thank you. That’s what we were hoping. 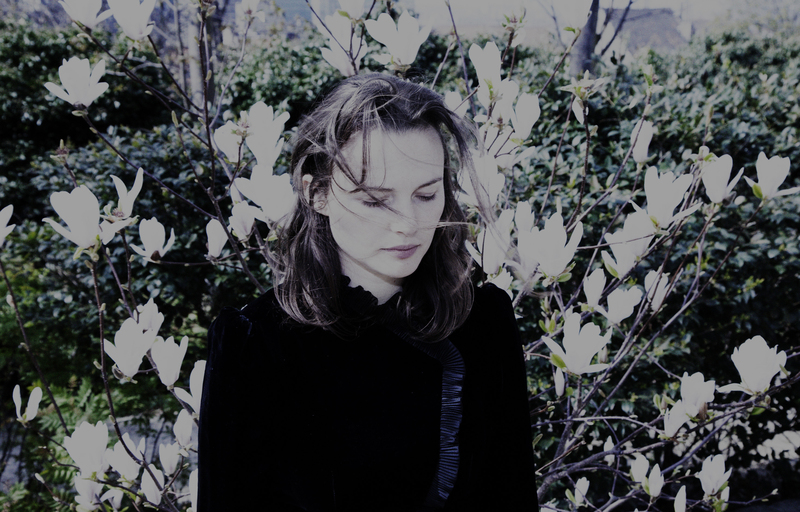 I remember Christina Vantzou saying how the process of composing was both a maddening and meditative experience. What would you feel? DO’H: I think it depends on how you work but I think the moments that were difficult were more just based on the time. Our first record when we had all time that we needed and we took all the time we needed, it never felt stressful in any way and was really a great pleasure. Punching all that in a much shorter period of time had its challenges but I think if you let it come it comes to you at some point. I’d be curious to know if you’re influenced particularly by Steve Reich and his gradual music philosophy? AW: Not really. We were asked this question I think by a woman in Australia – someone recently asked us – I mean obviously I’ve known about Steve Reich but I never really listened to him; he was never much of an influence me; I was always much more into Eno- that was more of my influences for minimalism when I was young but he makes beautiful music, he’s a super-friendly guy but I never really had a signature emotional moment with Steve’s music. But saying that, art is strangely subjective in ways that I’m telling you this and you’re probably saying ‘this guy is totally fooled, he must have listened to Reich‘ you know, it seems so obvious but that’s the funny thing, at this point in history maybe I’m influenced by someone else who was influenced by him maybe; it’s all so cross-pollinating at this point it’s hard to tell where your musical history comes from. DO’H: And you know also there is an artist named Hans Otte who was working with a lot of similar ideas that Steve Reich worked with later but he was doing it I think like in the 60’s so I think a lot of people were dealing with similar ideas. I mean it’s the same for me I wouldn’t say that was an obvious influence for me as well. I’d be curious was there a certain Brian Eno record that triggered your love for his music? AW: Oh I mean there is so many of them. His pop records, ‘Here Come The Warm Jets’, ‘Another Green World’, ‘Before and After Science’ and his ambient records obviously, I love ‘Discreet Music‘ and ‘Thursday Afternoon’, there are so many. Even some Roxy Music I can get into. When you find yourself in the live setting and you have the wonderful orchestra and everything with you, it must be a real thrill for you just going on tour and witnessing obviously the music you have made in this live context? AW: Yeah it’s been great. We have a really great set of string players that worked with us on the record and we’ve been playing with for a while now. We’re still playing the music from the piece but it has developed in a way because we’ve been playing it so much together, we really feel more like a band now so it’s been really rewarding and great to really bond and connect with string players we’ve had so we feel really lucky. DO’H: Instead of working with them on our first record when we had the new material it was the first time that we were able to bring string players in and that were more invested than just being session players; they really understood how we were working and they recorded all the string parts with us. It was nice because we were able to work with them on how to make it better and usually with string players you get that sort of personal investment so it was really nice to feel like we could all make it better and craft it together and it really helped make these pieces work. I wonder what kind of plans and ideas you may have for your next projects? DO’H: Well I think Adam’s going to be working on some of his music and I’m going to be working on some of my own music now. AW: Yeah we’re going to take a little break and work on our own things for a little while. We’ll be back, we’ll do it again- don’t you worry. In terms of music or film, was there something you’ve been obsessed with in recent months? DO’H: Well recently I was in Los Angeles and I saw the composer Mica Levi and she had a twenty-piece ensemble and she performed the score for ‘Under The Skin‘. Actually when I saw the film I thought the music was good but when I saw it live and saw how she was creating her sound live, it was definitely one of the coolest things I’ve seen for a really long time and I really appreciated how she created all of the sounds. AW: What was she playing? DO’H: She was conducting and she had the Wordless Orchestra playing and they were great. She’s just dealing with more textures than melodic lines and there was a few melodic parts but the way she creates them and doubles the instruments, it was definitely like one of the most interesting things I have seen in a long time, it was pretty cool. AW: I’m really into gardening at the moment. Although I still love music and film and art, I’ve really just become obsessed with plants lately; they seem to speak to me more loudly than anything else. That sounds cool because I’m sure you get enough inspiration from the world outside as much as anything else. DO’H: I think you always have to give yourself a break from music sometimes, it’s always seeking influence within music itself is like a snake eating its own tail and sometimes you just need to step away and you know, spend time in the ocean, garden or just listen to other sounds and just get outside this world of music. And I think that’s what brings fresh ideas too, you need to just step out of it, go to a museum and see art, just read [laughs] and just step away from it. Especially when you have so much stuff always hapening – even away from A Winged Victory – as your work builds up there’s a sort of challenge to create something new. Actually it reminds me of a recent interview with Hauschka where Volker explained how he needs to “reset his mind” and having a blank canvas to start from. AW: I mean Volker is so good at that. He’s also really good at improvisation which I struggle with a bit, I don’t trust myself enough, I don’t think. He’s very inspiring especially his tour he’s been doing lately. I don’t know if you’ve seen it? I mean it’s super beautiful where he’s going lately and I love his recent live set. It’s pretty special. 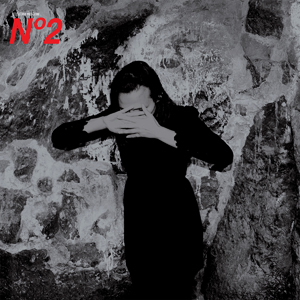 2014 marked the hugely anticipated release of Kansas-born composer Christina Vantzou’s breathtaking second album ‘N°2’, featuring, once again, Minna Choi of the San Francisco-based Magik*Magik Orchestra and Adam Wiltzie (Stars Of The Lid, A Winged Victory For The Sullen). 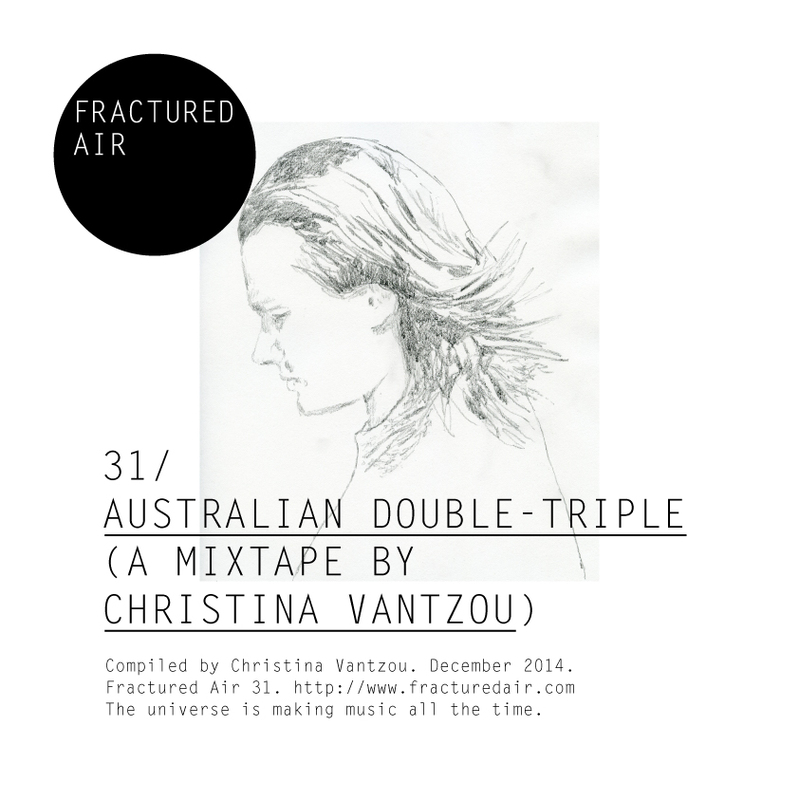 Since its February 2014 album release on the Chicago-based Kranky label, Vantzou has also filmed and directed a film for each of the eleven pieces from ‘N°2’, as well as inviting a host of artists to remix and re-interpret the material from ‘N°2’. “N°2” is available now on Kranky.